Let’s not mistake this recipe, it is not a coffee cake. This is a gluten-free cinnamon raisin swirl bread and it toasts beautifully. All you have to do is add your favourite spread like cream cheese, marmalade, butter or your favourite jam. This recipe makes two small loaves, so I recommend freezing one for another time. When it comes to gluten-free baking fresh is the best. As I am writing this post, I am enjoying this delicious bread toasted with a little grass-fed butter and my favourite vanilla rooibos tea. Aww so ADDICTING. I especially love the cinnamon raisin swirl it is sooo good, the swirl is not perfect, but that is not important, the bread is! I must admit I love cinnamon, it brings back all the wonderful memories when I was growing up. Walking in the kitchen and smelling freshly baked cinnamon bread is just the best, especially when the cold weather hits. This is a recipe for 2 small loaves, do not attempt to make 1 big loaf the bread just doesn’t come out the same. 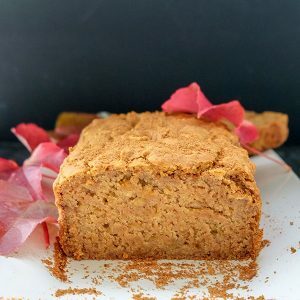 And I recommend using the same gluten-free flour blend that I used in this recipe, I have not tried other blends, so I don’t know the results…sorry. 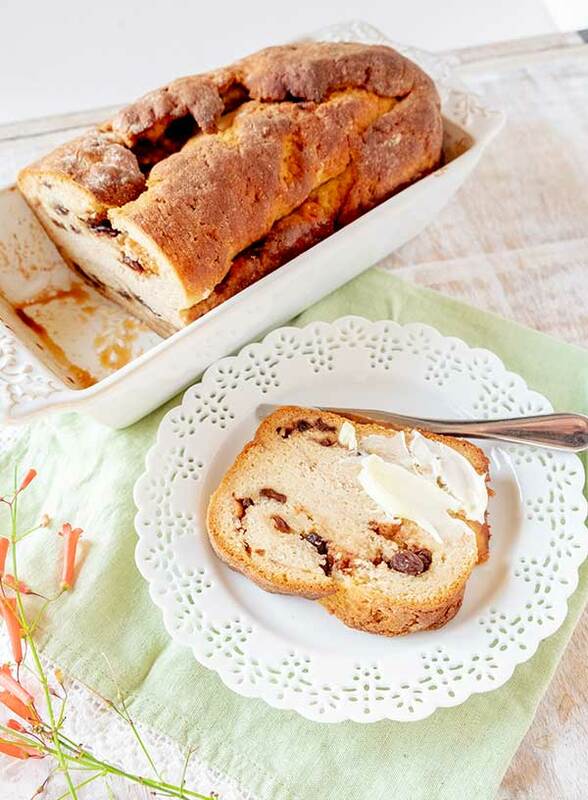 This cinnamon raisin swirl bread makes a perfect addition to Sunday brunch, enjoy!